© 1968 Atlantic Recording Corporation. We often hear him humming ..here you will be surprise hear him sing fully 10 song . Briliant, one man solo for all instrument take . 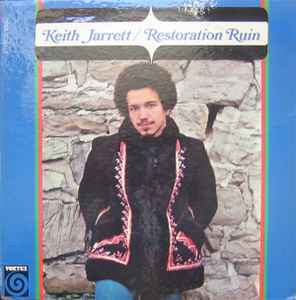 A suprising and interesting album for Keith Jarrett fans. The most impressive contemporary statement by a most contemporary and impressive talent . Off-Beat ! One of the most obscure albums in his career. It's got Jarrett playing all the instruments and singing! Bizarre really and pretty novel. The rear of the sleeve has some pretty funny commentary too. For completists only!! !